This entry was posted in Uncategorized and tagged 2018, Interns, students on 3. November 2017 by coasst. The presence and composition of wrack (the seaweed and other material washed in on high tide) varies from beach to beach, day to day, and season to season. Looking through the kelp, crab molts, wood chips, or Velella velella that wash in provides a dynamic and fascinating window into the world just offshore. Wrack piled high and in big lumps can obscure the likelihood of finding what we look for during COASST surveys. That’s why COASST keeps track of the proportion and continuity of beach zones, and in which zone birds or debris are encountered. With this information, we can better estimate the quantity of what washes in. So what’s in the wrack zone anyway, and how does it get there? Much of what we find once grew and lived in the ocean. 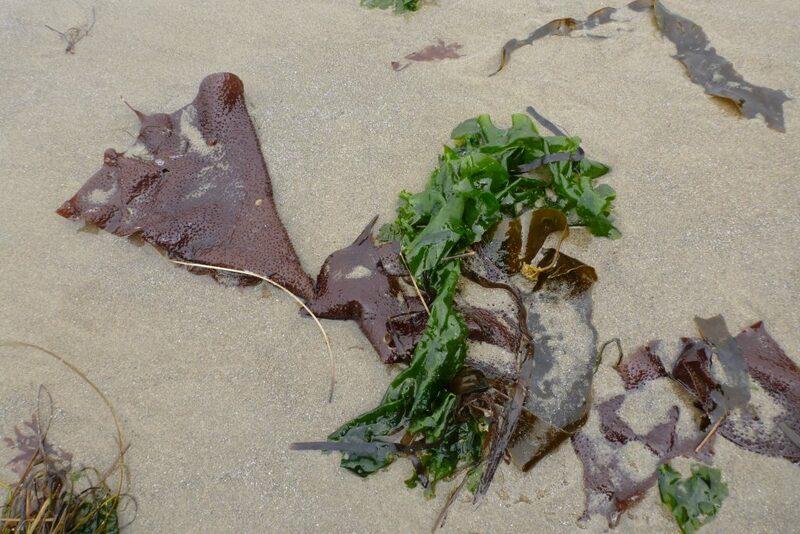 Macroalgae (seaweed) includes species that either float freely or are anchored to the seabed. The latter can be broken by waves during high energy storms, freeing it for transportation onshore by wind and tides. Other material that ends up in the wrack lives or has sunk to the seabed, such as crab molts. Large waves can disturb the seabed and refloat these objects, which are then transported onshore. 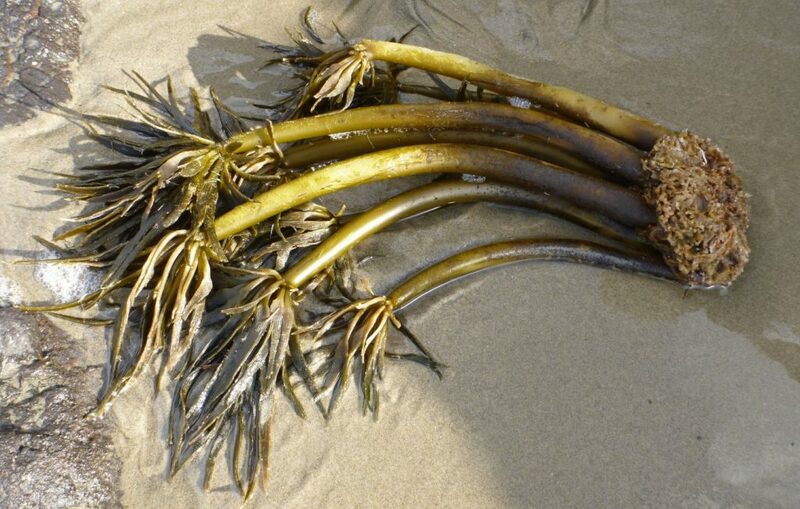 This is why wrack is thickest, and often contains the most variety, after large winter storms. 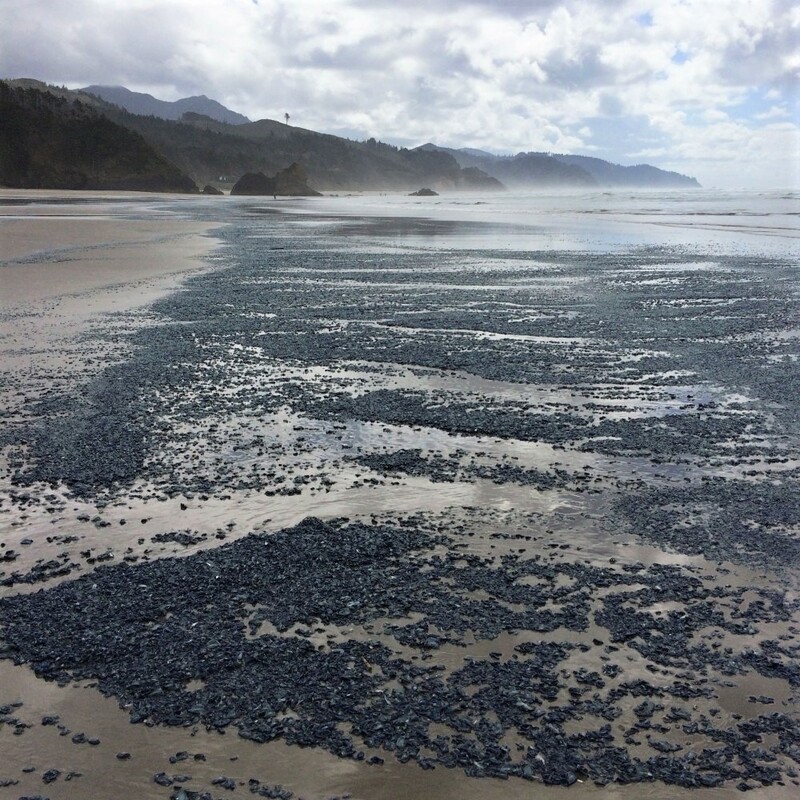 At certain times of year, the wrack zone may also consist of a thick band of Velella vellela, the result of onshore wind that pushes these “by-the-wind sailors” onto beaches. As wrack decomposes, it can stink. But it also provides the building blocks – nutrients and substrate – for the dune grasses that stabilize our beaches and provide habitat for nesting shorebirds. Additionally, it provides habitat and food for invertebrates like insects, crabs and sand-hoppers, species that are in turn eaten by birds and other critters up the food chain. Clumps of wrack are surrounded by a cloud of beach hoppers. 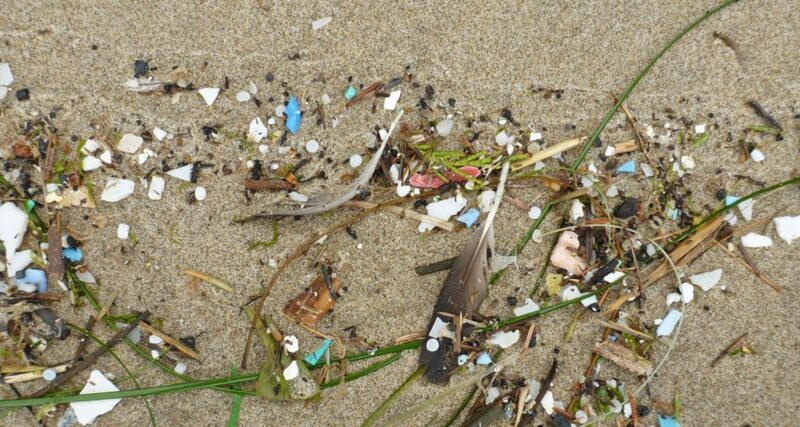 Yet, high-use tourist areas sometimes remove wrack, to the detriment of abundance and diversity of beach flora and fauna. Special thanks to Steve Morey, of theoutershores.com for sharing his beautiful photos with COASST. 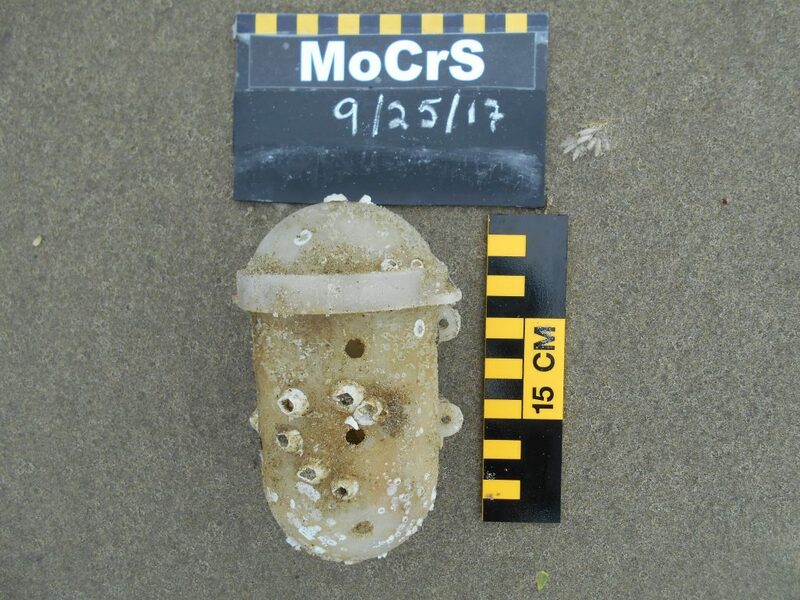 To see more of Steve’s photos of what washed into Oregon beaches, visit his website. This entry was posted in Uncategorized on 11. July 2017 by coasst. 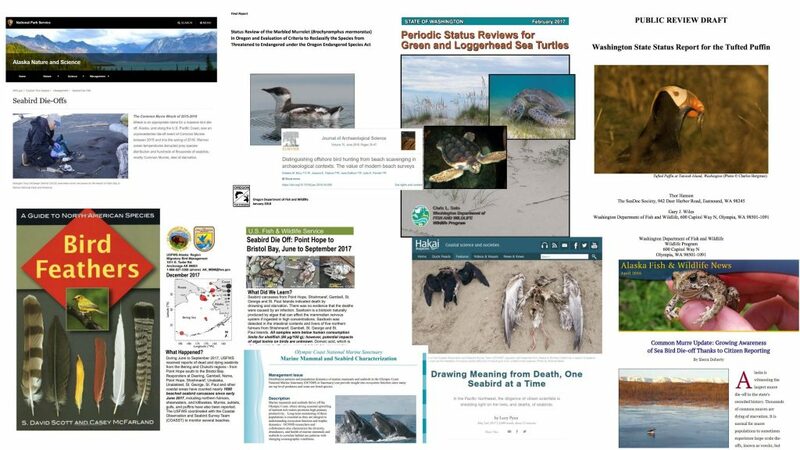 On April 5, 2017, Michael started his very first beached bird survey on Jacobsen Jetty South near Tokeland in Pacific County, WA. April is usually a quiet time of year for COASST and COASSTers, with few beached birds other than the occasional Common Murre. 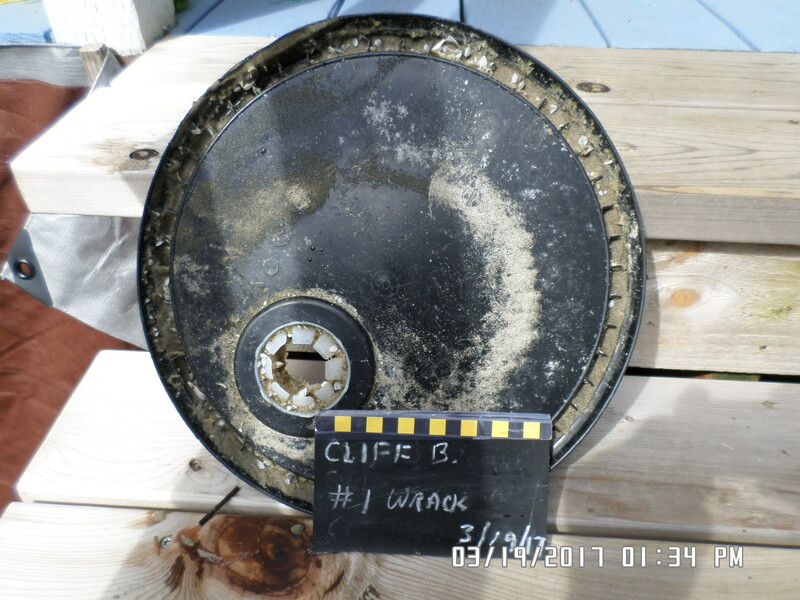 However, in Michael’s first survey he literally found a smoking gun – a small oil spill on the beach. 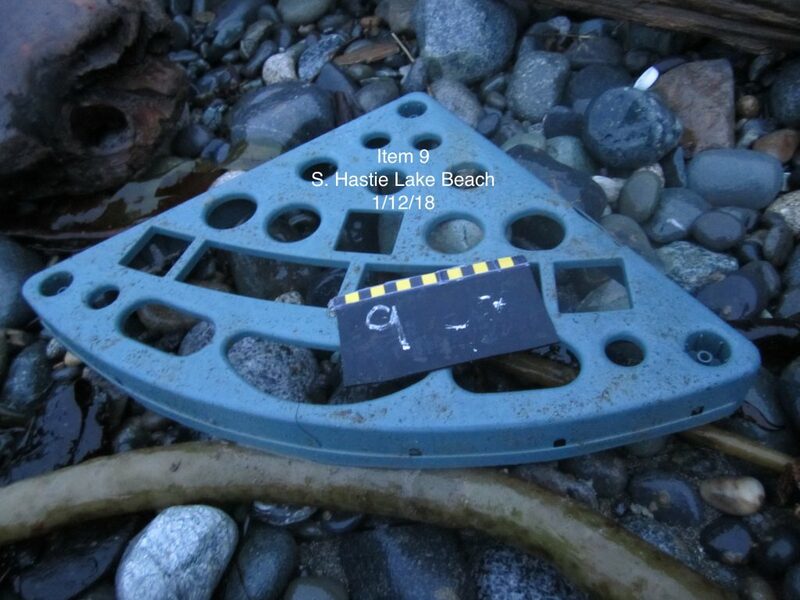 Fortunately, he had the presence of mind to document the spill with careful photos and description, which were transmitted to the COASST office, and from us to the WA Department of Ecology, the state agency in charge of handling these types of spills. 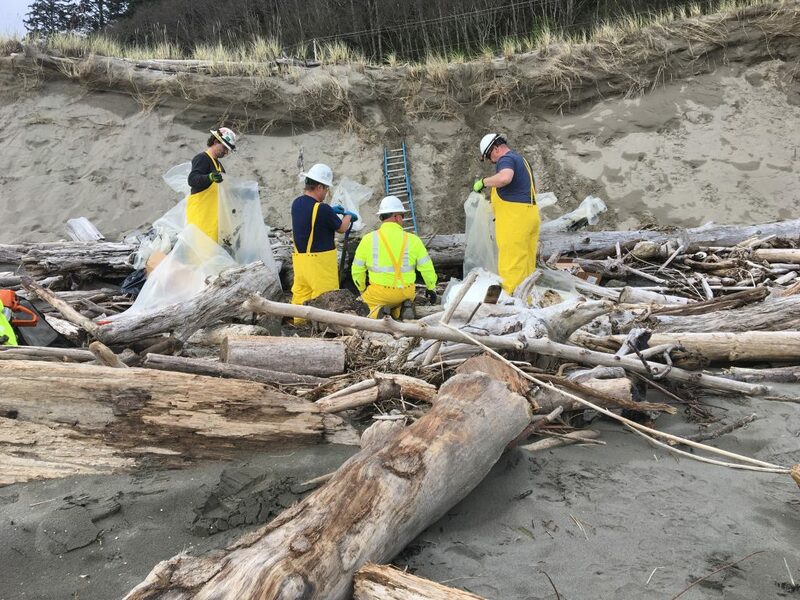 Dave Byers, the Oil Spill Response Section Manager at the WA Department of Ecology, informed us that two spill responders were dispatched to investigate and size-up the scene. Due to the large amount of oiled sediment and debris, Ecology hired a clean-up contractor to respond, remove and safely dispose of the contaminated material. Here they are in action! The spill responders believe that the oil was from a waste-oil container that was tossed or washed overboard from a vessel. 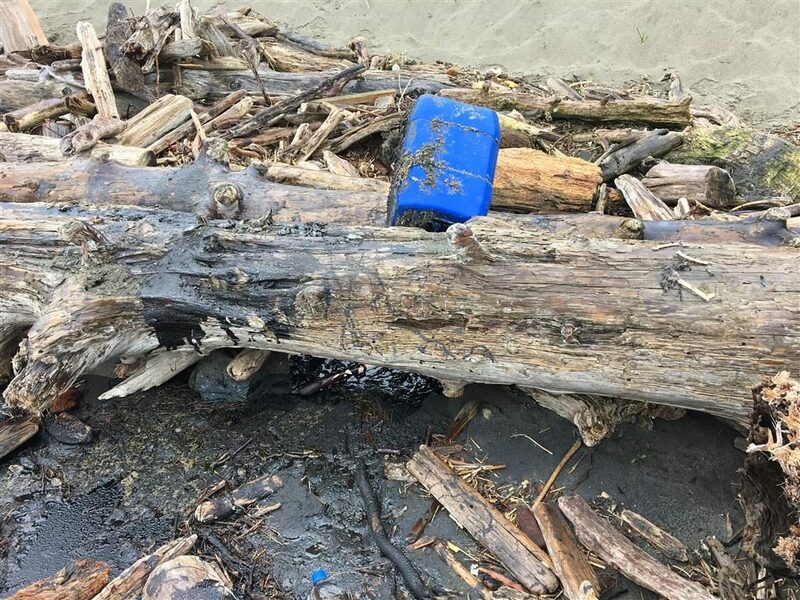 It also appeared that oil from the container was intentionally emptied on the beach after the container washed ashore. 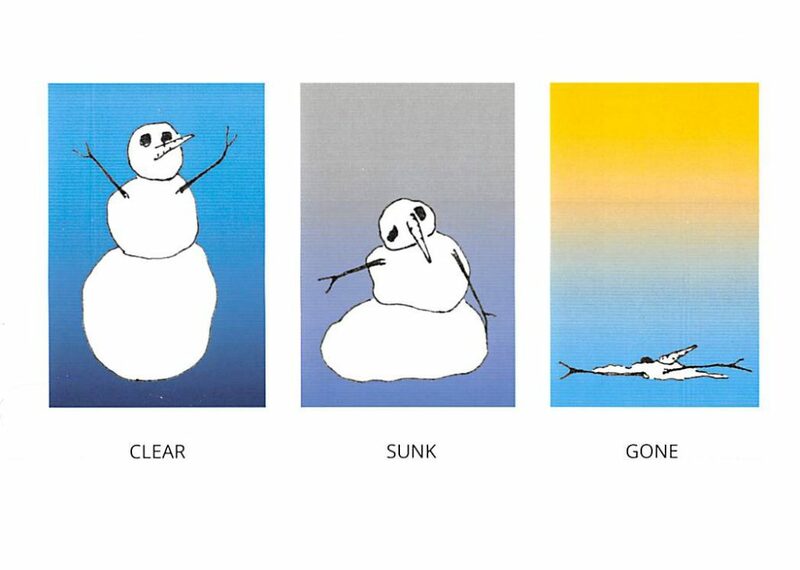 It’s very lucky that Michael was there to document and report, and it’s a great reminder to always proceed with caution if you find a chemical container. What should you do if you find a fresh oil or hazardous material spill on your beach? Dave Byers at the WA Department of Ecology suggests documenting your location, the type and approximate volume (or areal spread) of oil, distance from the water, and what coastal resources are impacted by the oil. As always, carefully photo-document!! You can also use the COASST protocol for oiling (page 2-11, protocol version 3.0). All of this information will help authorities determine what resources are necessary for responding to the incident. 1-800-OILS-911 works anywhere along the coast of North America. It is a 24-hour hotline which will recognize where the call is originating and connect with the appropriate state or province Emergency Management Office. This works in Alaska, British Columbia, Washington, Oregon and California. 1-800-424-8802 connects you to the U.S. National Response Center. Information taken from callers is passed to the appropriate state and federal response agencies. 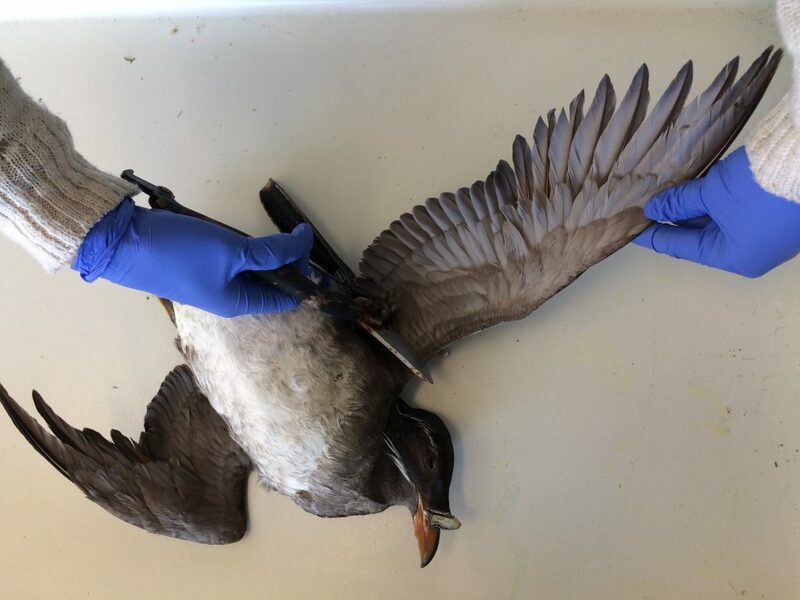 1-800-258-5994 connects you 24/7 to Washington Emergency Management which serves as the after-hour dispatcher for Ecology Responders. And of course, you can always call or email COASST, and we will also pass on your information. This entry was posted in Uncategorized on 7. April 2017 by coasst. This entry was posted in Uncategorized on 1. 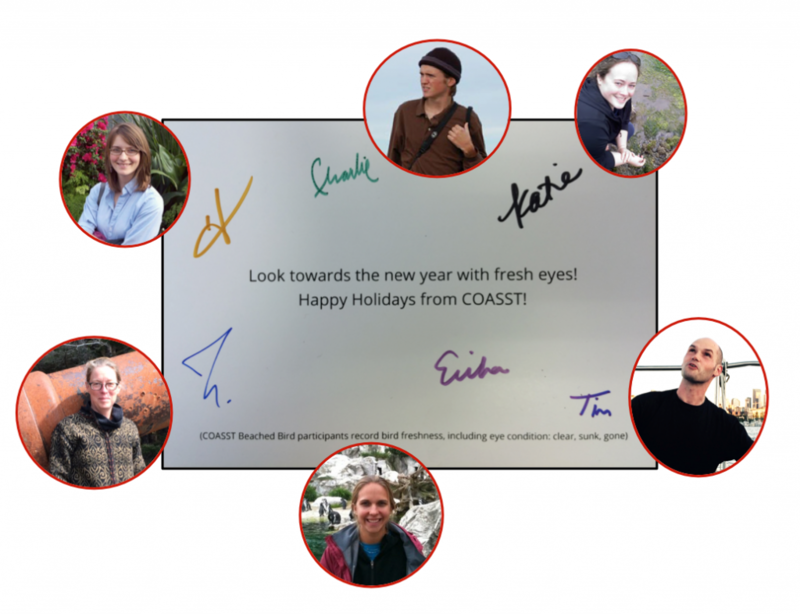 January 2017 by coasst. What do COASST staff do on their time off? Walk the beaches, of course! And it was on such an excursion that Charlie Wright, the COASST verifier, and his wife Linnaea – both expert birders and natural historians – happened upon a Blainville’s beaked whale. The dolphin-like “beak” and absence of large teeth indicate that this is a female beaked whale. Beaked whales are one of the oldest and most speciose lineages of cetaceans (whales, dolphins and porpoises), with 22 species documented to date. Smaller than the large whales, and sometimes mistaken for dolphins, beaked whales have, as the name implies, a dolphin-like “beak” (or rostrum). Vaguely sausage-shaped, they also sport short stubby flippers (front limbs), a small dorsal (back) fin, and a plain un-notched tail (also known as a fluke). Males have two enormous teeth that look more like spade-shaped tusks, which they apparently use to fight other males for access to females. These teeth vary by species and allow easy identification of males. With no teeth to examine, the whale Charlie and Linnaea happened upon was a female. Note the small dorsal fin. Relatively unseen and unknown animals that range widely across the world’s oceans, beaked whales are deep divers that can submerge in the hunt for squid and deep-sea fish for over an hour. No wonder people don’t often see them. But they do wash ashore. 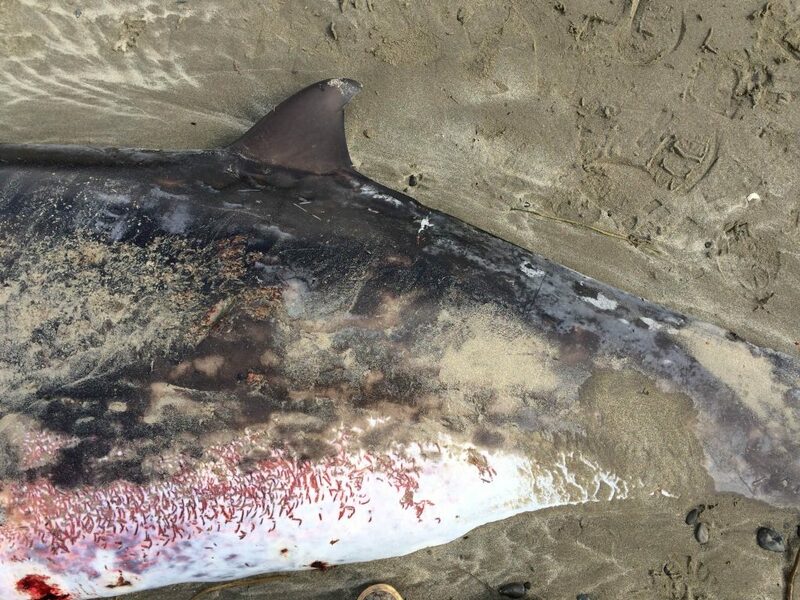 In fact, in 2014 a previously unknown species of beaked whale washed up on Zapadni Beach on St. George, Pribilof Islands (a COASST beach!). 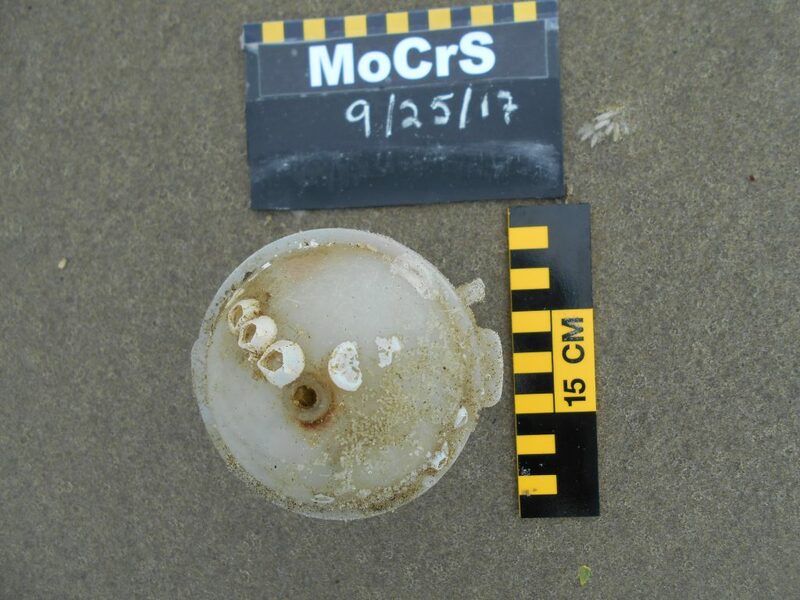 All of the excitement over this rare find got us wondering, what kinds of marine mammals have COASSTers been recording over the years? Although COASST doesn’t “officially” collect marine mammal data, since 1999 COASSTers have often reported what they find. 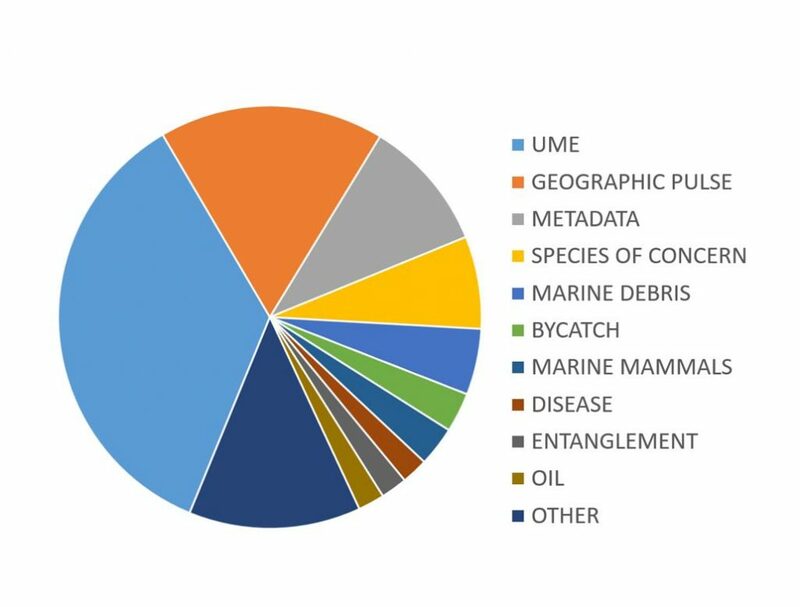 From 2000 through the present, just over 1,200 marine mammals were reported, most to group, like “seal” or “dolphin/porpoise.” Just over half (644) were identified to species. 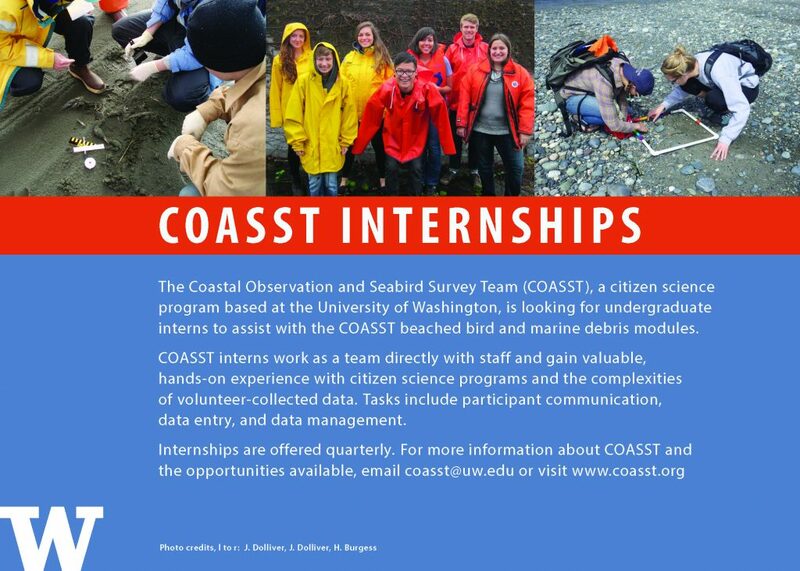 In our new COASST protocol, we’ve added specifics about how to record and take photos of any beached marine mammal observed. 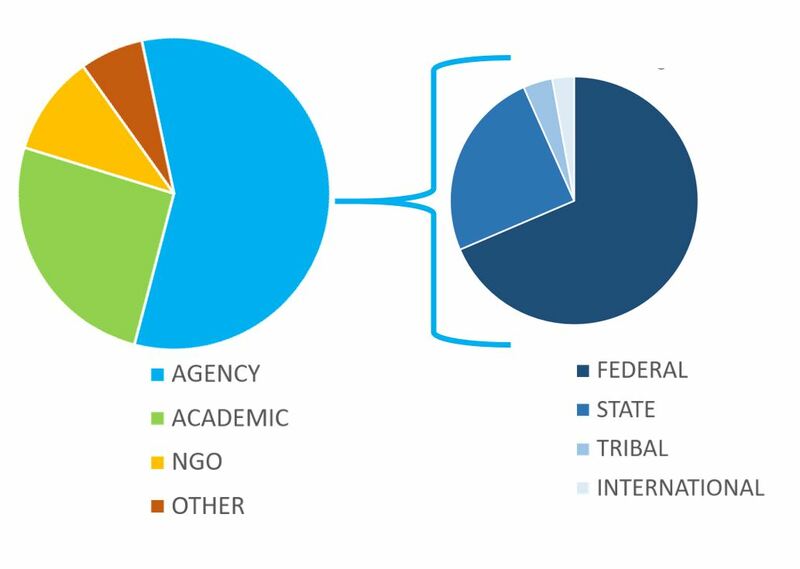 What can we say about these data? 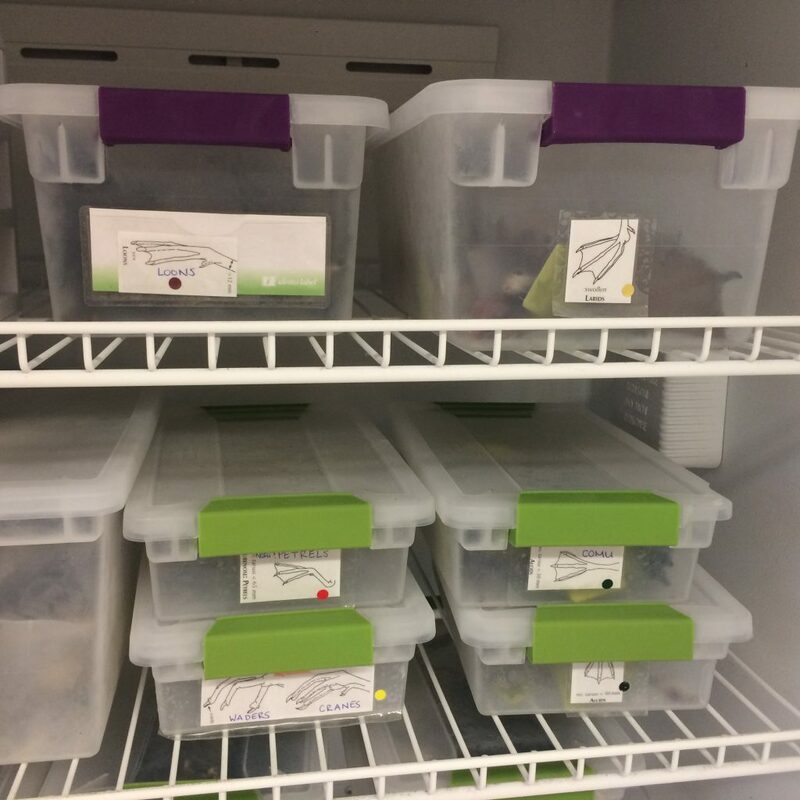 First, we focused on the marine mammal carcasses identified to species. These data are presented with numbers in parentheses under each photograph indicating the total count. The winner? Harbor seals, followed by sea otters and California sea lions. Not a single beaked whale! Notice that although there are slightly more species of cetaceans (8 in total compared to 7 pinnipeds), COASSTers are far more likely to find a pinniped (420 individuals versus only 63 for cetaceans). 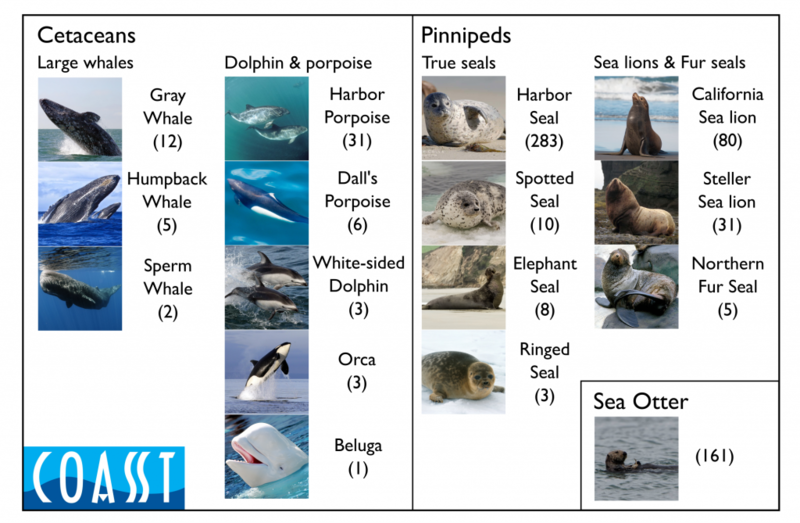 Marine mammals reported by COASST volunteers and identified to species from 2000-present. Second, we mapped all of the species groups, from large whales to sea otters, as a function of location, from northern California north to the Bering and Chukchi Seas. 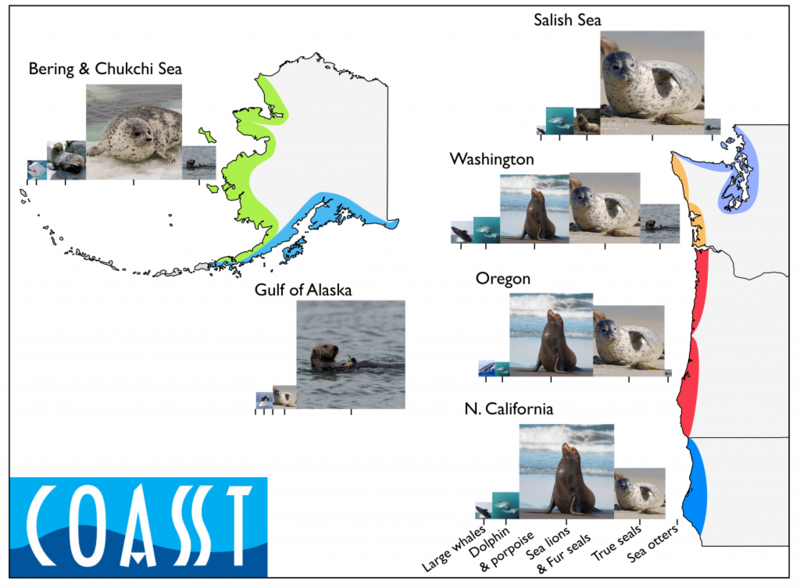 The “image collage” adjacent to each mega-region (we’ve combined the Strait of Juan de Fuca, Puget Sound and the San Juan Islands into “Salish Sea”) shows which species groups are found where. The size of the photograph is proportional – bigger photos literally mean more of that group is found, and the image indicates which species in the group was identified most often. In California, the group “sea lions and fur seals” dominate, with the vast majority of identified finds being California (of course!) sea lions. 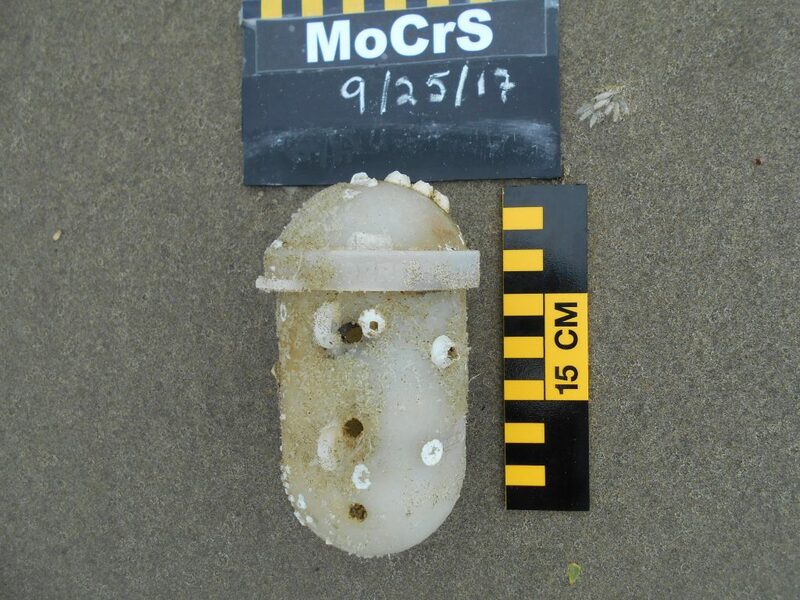 North in Oregon and coastal Washington, “true seals” become more abundant in the finds identified to species. In the Salish Sea, as many COASSTers can attest, harbor seals dwarf all other marine mammal finds. 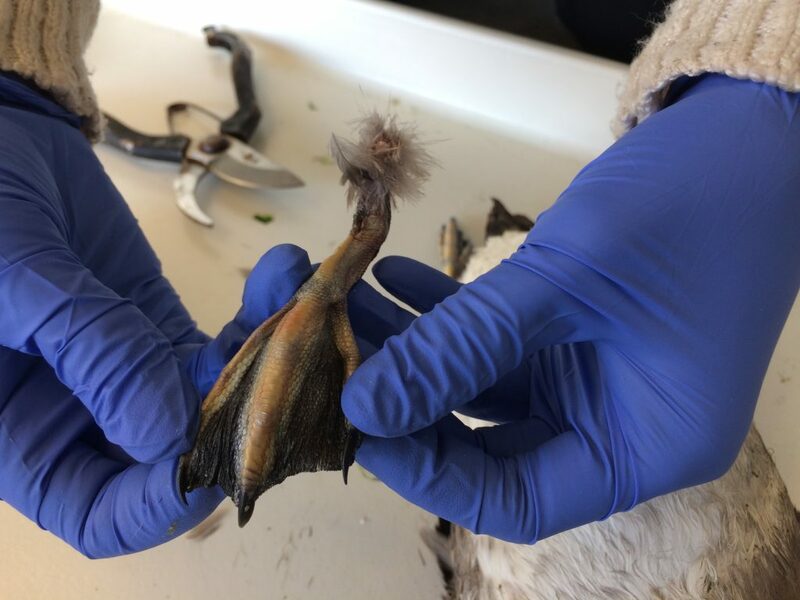 In fact, the chance of finding a harbor seal is not that much different from the chance of finding a beached bird (the recent Rhinoceros Auklet mortality event being an exception). Sea otters, unknown from our California beaches and a true rarity along Oregon, become relatively more abundant along the Washington outer coast, and dominate the Gulf of Alaska beaches. And then there are the finds in the Bering and Chukchi Seas. Notice that the only photograph in common with the other COASST mega-regions is the sea otter, everything else is different. “True seals” dominate, but the species isn’t harbor, it’s spotted. Rather than sea lions, COASSTers in these regions are more likely to find fur seals. 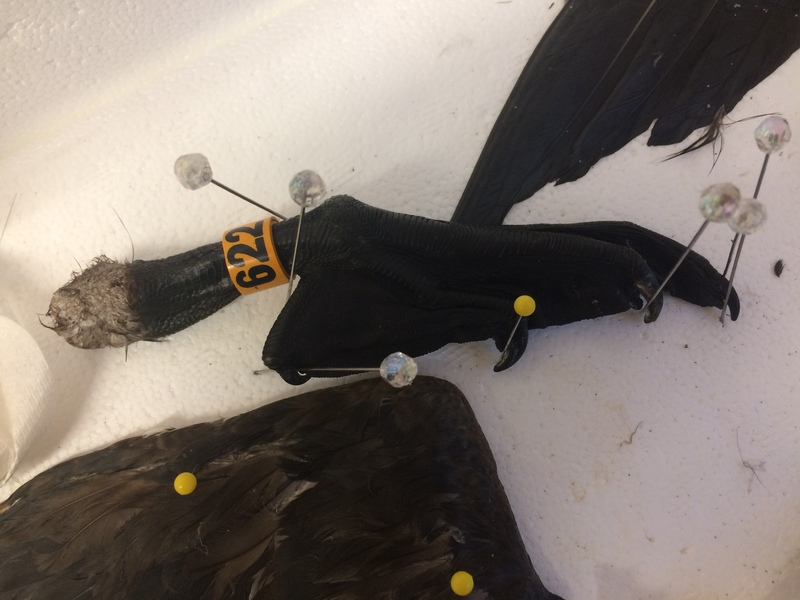 Not surprising when you consider that the Pribilof Islands (home to 8 COASST beaches) support breeding rookeries of Northern fur seals numbering in the hundreds of thousands. Abundance by location, from northern California north to the Bering and Chukchi Seas. 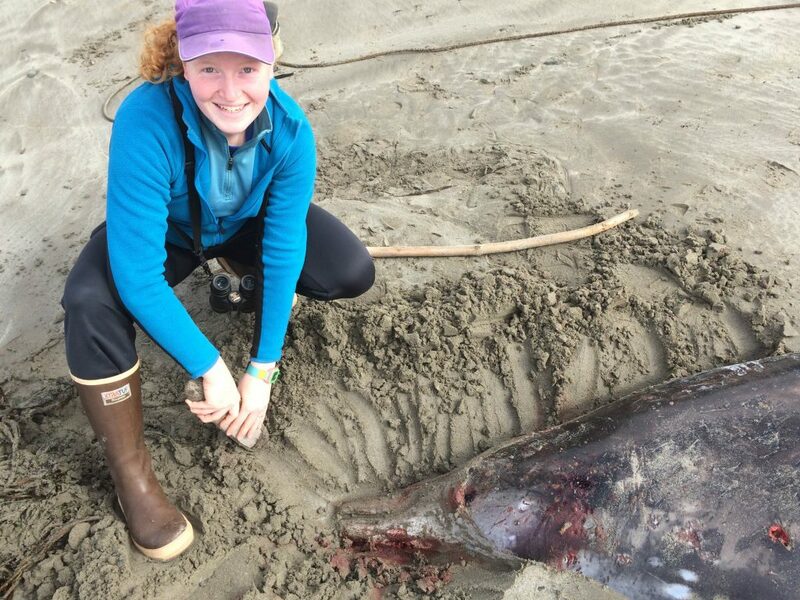 Documenting beached marine mammals is an important objective for COASST. So keep an eye out for the odd flipper, fluke or paw as you’re searching the beach. With marine mammal populations shifting in abundance throughout the COASST range, we’re in the perfect position to create the definitive baseline. 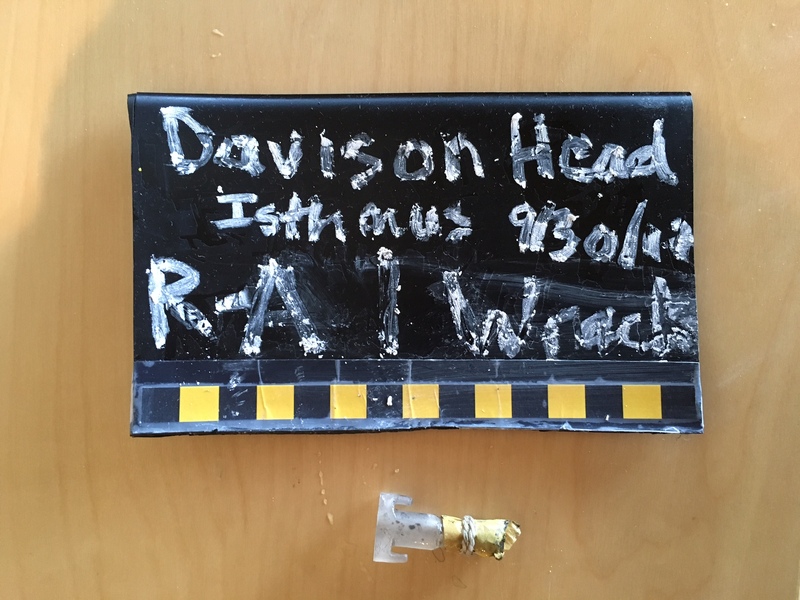 This entry was posted in Uncategorized and tagged Marine Mammal, Washington, Whale on 3. November 2016 by coasst.